selection process of Russian orphans’ was harmful too. reviewing additional horror stories about other American ‘abusers’. adoption abuses and death by Americans. co-founder of HERMITAGE CAPITAL MANAGEMENT doing business in Russia. linked to the America Trade Bill with Russia. bipartisan support in both the House of Representatives and the U.S.
Magnitsky Bill linked inextracably to a Trade Bill too. Magnitsky also worked for HERMITAGE CAPITAL MANAGEMENT Group and was charged with “tax fraud” too – just like William Browder was too! “… The U.S. imposed sanctions after the HERMITAGE [HERMITAGE CAPITAL MANAGEMENT ] GROUP lawyer Sergei Magnitsky, accused of ‘tax fraud’, died in [ Russia ] jail in 2009. The death triggered public outrage, and a number of penitentiary changes in Russia. At the same time, the case played a part in a big political game. A number of U.S. Congressmen, led by Sen. Ben Cardin (Democrat Party), proposed to punish Russian officials accused of involvement in Magnitsky’s death. Russia tried to make a point that this case is ‘purely domestic’, is ‘already being investigated’, and warned Washington [ D.C. ] of counter-measures. Russian President Vladimir Putin signed the “Dima Yakovlev law” barring Americans from adopting Russian orphans. The bill was named after a ‘Russian boy who died because of his adoptive parents negligence’. LOS ANGELES – August 1, 2017 – A U.S. Department Of Justice ‘official witness’ named William Browder who claimed to be an American businessman ‘managing foreign fund portfolio investments in Russia ‘energy sector’ business giant GAZPROM ( petroleum and natural gas ) plus others, as the Chief Executive Officer of HERMITAGE CAPITAL MANAGEMENT operating in Russia. William Browder recently testified to much more, in front of U.S. Senators within a U.S. Judiciary hearing surrounding “lobbyists” operating in America; specifically, those whom failed to report themselves as “foreign agents” ‘representing interests of foreign nations’. William Browder provided testimony claiming far more involving those associates of President Donald Trump, as well as contacts and meetings with a lawyer ( Natalia Veselnitskaya, connected with U.S. lobbyist Rinat Akhmetshin ) inside Trump Tower during June 2016 ( for approximately 20-minutes ) where Browder claims the U.S. “Magnitsky Act” ( formerly known as the “Russia and Moldova Jackson – Vanik Repeal” and “Sergei Magnitsky Rule of Law Accountability Act of 2012;” a bipartisan bill passed by the U.S. Congress and signed in November – December 2012 by U.S. President Obama who intended punishing Russia officials ) was, according to Browder, the ‘only issue being discussed’. Browder, however, was ‘not in Trump Tower to ever hear anything being discussed first-hand’. Instead, he relies solely on ‘hearsay claims delivered within his ‘official testimony’. The fact is that not since the Cold War were sanctions ever put in place, as what the U.S. Obama Administration and Russia Putin Administration established. Criminally-Rationalizing Crimes By A Fugitive? Browder begins his testimony without any evidence and only by his rationalizing ‘how’ he supposedly got into ‘criminal’ trouble with the Russia government, and claims about all he did to manipulate foreign investor monies identifying only his propaganda as having been responsible for being able to single-handedly manipulate the Russia government by his also being able to circumnavigate (on behalf of his investors) what he only verbally identify as long-standing corruption by Russia oligarch families controlling all businesses in Russia and President Putin too. Criminally Evading Taxes Charge In Russia? William Browder, claimed that his investor’s portfolio of investments in Russia businesses had ‘tax monies’ ( due the Russia government ) that ‘disappeared’, that he notified the highest authorities ( of the Russia government ) of such, that he had no idea ‘where those Russia tax monies vanished to’, after which ‘he’ ( Bill Browder ) became a ‘criminal suspect’ in that Russia ‘tax evasion scheme’, citing results of which causing him to ‘fear for his life’, he forced himself to ‘flee away-from Russia’, and in doing so ‘took up residency in the United Kingdom ( UK )’ outside the jurisdiction of the court in Russia. Criminally-Wanted Fugitive Witness Protection From Russia? Browder claimed Russia secured a “Stop And Detain” order, issued by INTERPOL, for foreign law enforcement authorities to return him to face justice in a Russia government court of law, and that he continues to ‘avoid prosecution’. At the behest of U.S. Department Of Justice ( DOJ ) officials, with great cost to America tax payer hard-earned monies, William ( “Bill” ) Browder was flown from the UK to America where he received U.S. government ‘official witness protection’ and for the ‘purposes of testifying’ before the U.S. Judiciary hearing conducted by U.S. Senators. That ‘hearing’ was convened to investigate ‘violations’ of the U.S. Foreign Agent Registration Act ( FARA ), requiring all registered U.S. Congressional Lobbyists – notify the U.S. Congress – ‘if they represent any foreign government interests’ during their course of ‘lobbying activities, either ‘for’ or ‘against’ any legal measure presented as either a U.S. Senate ‘Bill’ or U.S. House of Representatives ‘Resolution’ ( “H.R.” ) to-be or being considered for ‘legislation into U.S. law’ albeit either as ‘amendments’ to any ‘existing U.S. laws’ or ‘adoption’ of any ‘newly enacted U.S. law’. 10. Trump Associate’s Meeting Where Russia Lawyer Lobbyist Mentions U.S. “Magnitsky Act,” A Little Known About Global Financial Obstacle For Russia Interests, Also Contains The Provision For Russia Child Adoptions To America’. Failure to pay U.S. taxes becomes a U.S. federal ‘criminal offense’ especially upon fleeing the geographic territory of U.S. jurisdictions, just as it does in Russia and elsewhere. Tax evasion, however, is ‘not always an extraditable criminal offense’. When a ‘tax evasion criminal suspect’ no longer remains within a ‘national jurisdictional or territorial boundary’ of a legal court prosecuting law from where that ‘criminal suspect or felon’ decides to ‘evade prosecution’ by ‘fleeing to another country’ having ‘no mutually cooperative legal extradition arrangement’ or “Mutual Legal Assistance Treaty” ( MLAT ), which ‘specifically lists the same crime’ and ‘provides lawful arrangements for the safe return to the jurisdictional court that the ‘suspect’ or court ‘sentenced felon’ is fleeing away-from one national jurisdiction to another, then a defacto or dejure “safehaven” is witnessed. International case instances of criminal suspects fleeing prosecution and successfully evading prosecution where they never land in prison, are more numerous than is ever publicized. 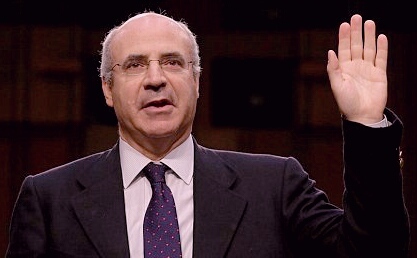 The criminal case against William Browder ‘evading taxes’ and his ‘international flight to avoid prosecution’ in Russia is suspicious, whether or not Browder ever had any ‘black and white hardcopy proof’ that required taxes were even paid to the Russia government, and to-date ‘no evidence’ has ever been published supporting his claims. Was Browder, cooperating with the U.S. Central Intelligence Agency ( CIA ) acting in an undercover capacity as a ‘Non-Offiicial Cover’ ( NOC ) government intelligence operative in Russia while employed by HERMITAGE CAPITAL MANAGEMENT? How did Browder escape after being stopped and detained at an international border overseas, as his ‘testimony’ lightly mentions during those U.S. Senate hearings in latter July 2017? Too many issues do ‘not’ add up to William Browder being as squeaky clean as he claims to be. Was Browder’s ‘testimony’ part of a secret plan designed to change public opinion ‘against’ President Trump? The ten ( 10 ) items ( listed above ) and more, within Browder’s recent ‘official testimony’ appears to support an ‘upcoming radical change’ in current U.S. Foreign Policy toward Russia under the current U.S. Presidential Administration. At a time when America is bolstering N.A.T.O. amassing in Ukraine along Russia borders, where warfighting has also escalated in Donetsk North Korea ( DPNK ) test firing Intercontinental Ballistic Missiles ( ICBM ) multiple rockets, as East Damascus, Syria is being laid siege to, while Lebanon, Palestine and Israel see border battles raging, and the U.S. eyes Iran as yet another target consideration, Russia plays a pivotal role as does China in retaining a good relationship with America rife with strain ( inside and outside ). The testimony of William Browder appears cleverly orchestrated by either ‘The Deep State’ interalia ‘Secret Parallel Government’ manipulating U.S. intelligence factions seeking a way forward to overthrow the current U.S. Presidential Administration. International information surrounding Superpowers intelligence and assets, although keenly familiar with ‘both’ based on my education, training and experiences with the U.S. Intelligence Community since 1971, are subjects I do not enjoy observing and reporting about from my own personal knowledgeability because I find such hazardous to human health and safety I more than likely just threw out my own window from my mobile home-office. I could be wrong, but that is only my opinion.